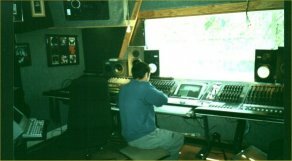 A Tale of Two Cities was recorded over 3 days in late October 1999. Working with Reggie was a very new experience for us, none of us ever having worked with a professional producer before. The recording process was fast-paced but great fun and I think the quality of the CD reflects this. We can't thank Reggie (or Bloaky) enough for giving us the opportunity to record this disc. 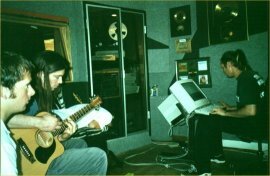 The last track "Secret Things" was included at the last minute (replacing "The Green Children"). It had only been written a few weeks before hand and had never been performed live. This CD includes the 3rd reworking of the track Jellybeans and Icecreams (this time called Jellybeans). The awesome guitar sound on Matthew was Duff's Maton accoustic run through a Marshall JCM800. A copy of "A Tale.." somehow found its way into Richard Kingsmill's office (but I can't remember the rest of the story.....FINISH THIS...). 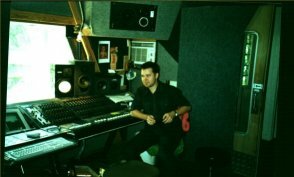 Pete had sent the CD into The Push when they put out requests for tracks to be included on the 2000 Push, Play, Record compilation. We'd actually forgotten all about it when we got a call from them telling us that we'd been included on the CD. Imagine our surprise when they told us that we were also being flown (all expenses paid) to Perth to do some shows for the WAMI!